A rickshaw bedecked with miniature flags joins an impromptu ‘rally on wheels’ of people celebrating the Independence Day. QUETTA: For the first time in recent years, Quetta reverberated with slogans of “Pakistan Zindabad” as people in their thousands thronged various streets on cars, rickshaws, motorcycles and on foot. As in other cities and towns in the country there was a festive mood all over the Balochistan capital. Important city arteries like Zarghoon Road, Jinnah Road and Prince Road saw thousands of youth riding motorcycles and cars, some of which blared out national songs. The roads were a sea of green as most vehicles and pedestrians carried the national flag. “We are happy to watch youth dancing in traditional Pakhtoon and Balochi fashion,” said an official of the district administration. “The sight of people swarming roads and markets to celebrate the independence day after a long time has warmed our hearts,” he added. The presence of women and children in big numbers lent a homely touch to the atmosphere. Some youths were seen indulging their passion for one-wheeling after taking out silencer from their bikes. Important government buildings like the Governor House, Chief Minister House, Balochistan Assembly, Balochistan High Court, the Secretariat and the Frontier Corps headquarters were bathed in fancy lights. A display of fireworks organised by the Frontier Corps thrilled crowds at the Ayub Stadium. There was an impressive turnout at a tribal jirga organised by the Frontier Corps. 18 “Hazara” or “Settlers” killed in Turbat bus attack?? Express tribune 1st mentioned that “Shia pilgrims” Killed in an attack in Turbut. Latter they changed the “shia pilgrims” to “Travelers”, but present the story with selective details to show that as “Hazara killing”. This story was updated on Etribune almost one hour ago (9:30 PM). 1. 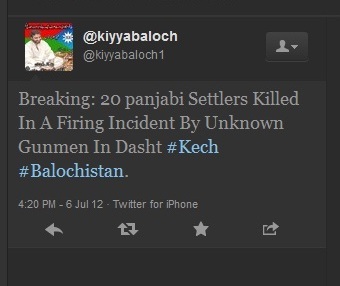 This incident was happened near “16:00” PST, almost in same time “Baloch fake ids” published this on twitter. But Express tribune(although the 1st Pakistani news site) publish this news after 5hours but with wrong information and details. 2. Its very sad to our so rich media groups network are week than the “Baloch fake ids” networks. They are not only fast in sending news via social media, they also distort the fact like they did here. 3. Pakistan image is already not good in internationally, our media groups need more responsibility in publishing the news, but un fortunetelly they are adding more fuel on this. Wrong information with wrong details bring more damage. 4 . And after confirming that those were Punjabi, our social media & English press journalist, AKA fake Liberals will become completely silent on this, as than this will not be related to “religion”. They will become silent and also the slogan “Silent on Shia Genocide” will not be used for “Silent on Punjabi genocide”,but they will remain silent on this! 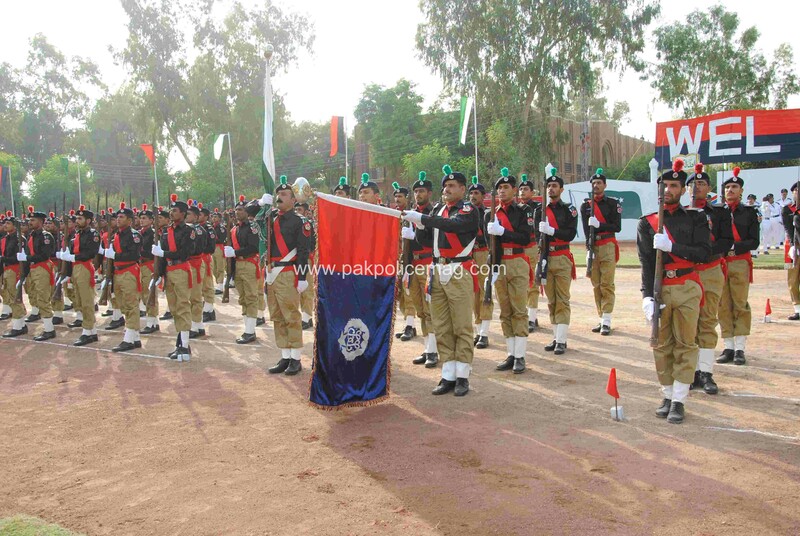 Is Punjab Police kidnapping Baloch? Today, I saw a clip of “Capital talk” by Hameed Mir, In which he show an interview of BNP(M) leader Zulfiqar Mulghani. On this clip, Programme title was given “Punjab Police Involved In Baloch Missing Person’s Kidnappings “. This title and allegation was a very strange to me, as I am a Baloch and living in Punjab. After this, according to Dawn News Two senior DIGs will also be the member of this committee that will review the charges leveled by Zulfiqar Baloch, member of BNP (Mengal Group), alleging that Punjab police was allegedly involved in the kidnapping of the Baloch. Zulifqar Milghani is member of BNP-M (Balochsitan national party,Mangel Group), belongs to district D G Khan which is located in Punjab. 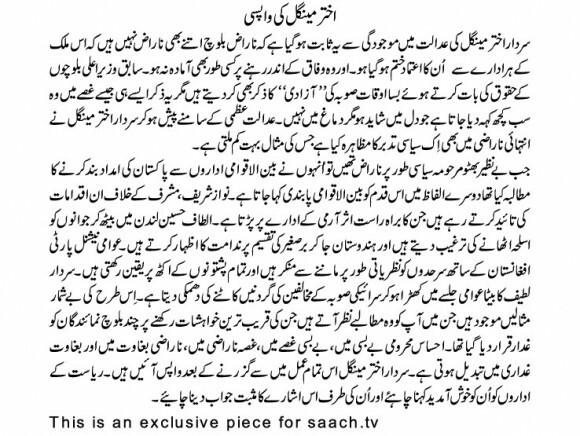 In this clip,incident with ZM was misquoted by Hamid Meer, and also gave a wrong impression. Although Hamid Mir in his show claim that BNP is a political party which do not support freedom struggle (he is right at this point) ,but he did not ask Zulfiqar Milgani that had he any clue that why he was taken in custody. Mr Zulfiqar Milgani in local news papers of Dist. D G Khan gave statements in the support the american congress resolution about Balochistan. 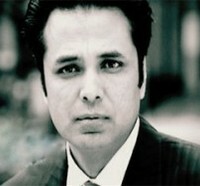 After this statement he was taken in custody by the intelligence agencies, with the help of punjab police. BNP`s statement in balochistan local news papers (daily duniya) says that Zulfiqar Milghani is taken in custody by intelligence agencies. After the investigation by the intelligence agencies, he was set free within a week. The impression of this clip is as Punjab police is “kidnapping Baloch”. We can see the title of this video “”SHOCKING FINDING”” , and the way Punjab police made the committee on this issue also prove this impression. Mr Zulfiqar Milghani is a Baloch but living in punjab, If a Baloch living in Punjab will do a crime or required for any kind of investigation, certainly punjab police will operate not “Balochistan police” will come in punjab to investigate that matter. We already know that there is a allot of hatred in Baloch and Balochistan against punjabis. 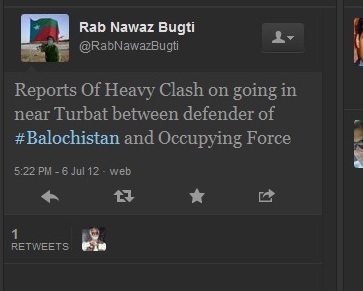 Allot of people were killed because they were punabis and living in Balochistan. Its better that our media show more care in showing such interviews. No doubt, unlike other news shows, Hamid Mir do not do long interview of Baloch so called “freedom fighters”(Hairbyar and Barghadagh), its good, but in this show it looks he convey a wrong message.